You have many options for window replacement in Indianapolis, IN but we offer unique advantages over other window companies. When you choose Blair Windows you’re choosing a local company who offers many window brands. You’re also choosing a company who has a proud history in Indianapolis working for building professionals and discriminating homeowners since 1955. We are a window company, not a sales company that happens to sell windows. It’s hard to even turn on the television without seeing an ad for a window company. Many advertise crazy “deals” like buy three windows get two free or call within the next ten minutes and get a free upgrade. At Blair Windows and Doors we believe in straightforward pricing. We’ll listen to your needs when it comes to your window replacement and guide you to a brand and style. From there we’ll measure your windows and provide you with a price. We offer financing options and factory direct pricing, all backed by in house service and installation. The vast majority of homeowners we talk to about a window replacement in Indianapolis tell us that they need new windows because their old ones are drafty or don’t close properly. The windows we recommend are ENERGY STAR® windows and meet or exceed the recommendations for the region. Our most recommended manufacturer, HOME GUARD, and its Amish based Hoosier workforce, is local in Indiana. Their windows are perfectly made for our hot summers and cold winters. 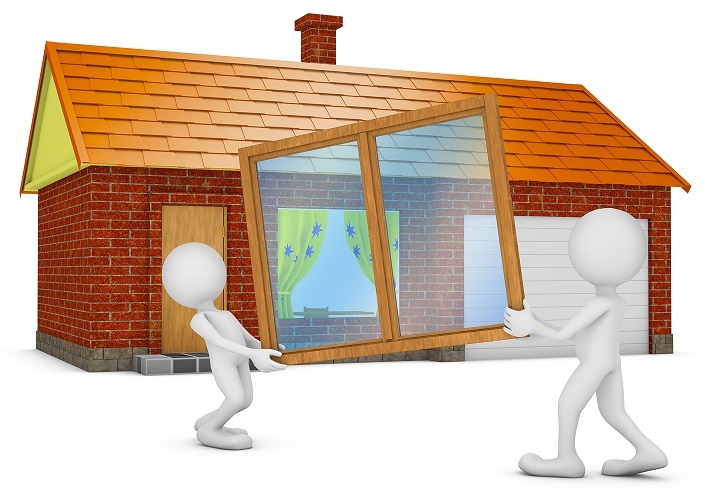 Sometimes window replacement includes sliding doors and entry doors. The window manufacturers we work with offer coordinating doors for your porch or patio. If you need an entry door, we have many options including custom wood doors. When we are invited to your home for an in-home consultation, we ask questions, answer questions, and share with you our opinion about your needs. We hope you know that when you’re looking for window replacement Indianapolis area homeowners love, you’ll turn to Blair Windows and Doors. Our in-home consultations are always free and we always provide written estimates. Call to schedule your no obligation appointment today – 317-356-4666.